The children play with different toys, paint with different mediums, do sorting activities, watch assemblies performed by older children, and participate in celebrations which are explained to them at their level. The children are not forced to do activities. 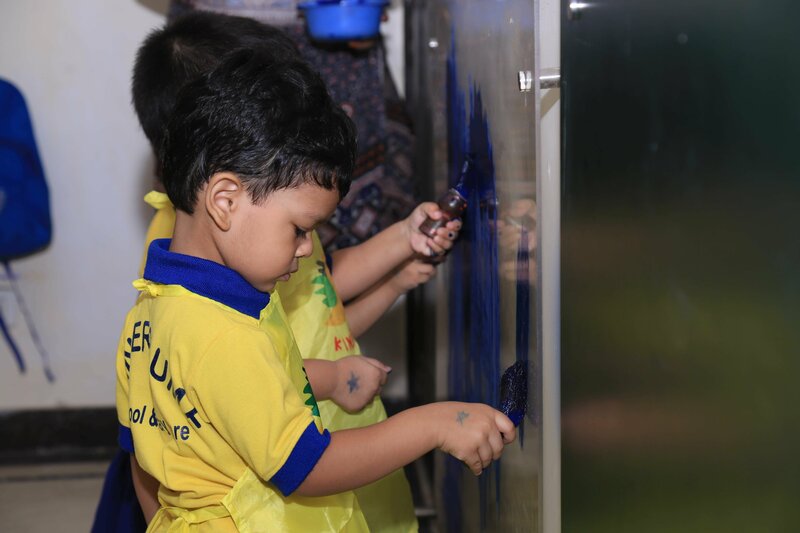 We try and make the activities interesting and the environment stimulating so that the child can self-learn. Children learn through play as it comes naturally to them. Children develop their language, motor, cognitive and their social skills. Outdoor play is emphasized through our curriculum. We inculcate love for Books, Nature, Science and Art through our curriculum.